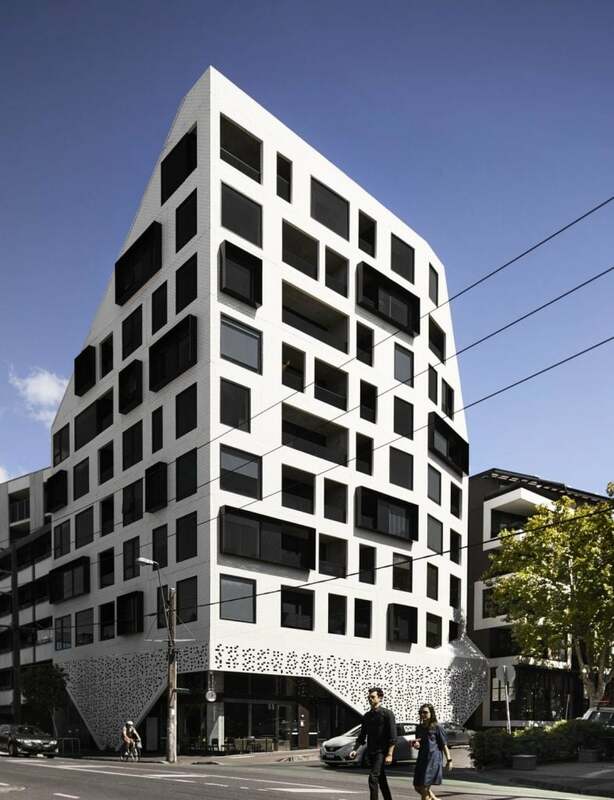 Capitalising on surrounding vistas, The Village Green is defined by its sweeping curved white façade and towering windows that dually flood internal spaces with natural light, while marking the exterior with a distinctive elegance. Offering natural luxury and impeccable design detail to create an address of rare distinction, The Village Green, Bella Vista Drive is imbued with a quality which is less like a standard apartment building, and more that of a boutique collection of individual homes. 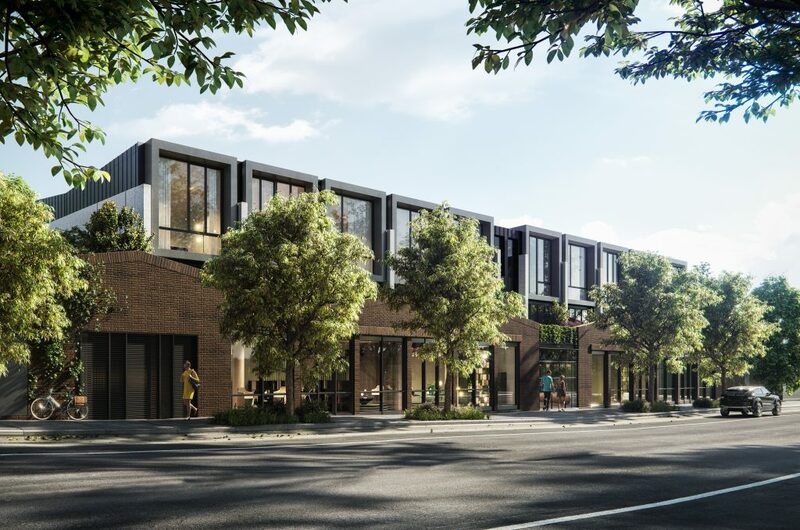 Timeless design elements fused with a distinctly modern suite of materials to present a facade that, while complementing the existing street fabric, brings the beauty of the streetscape within homes. 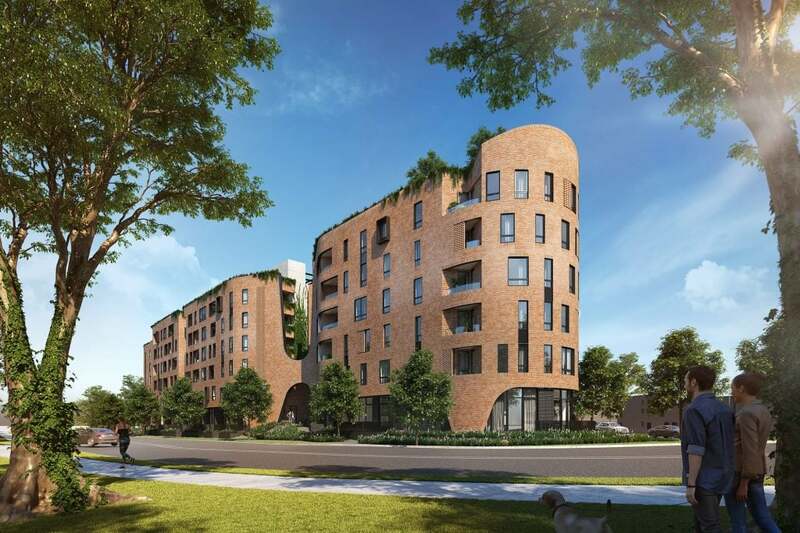 Capitalising on surrounding vistas, The Village Green is defined by its sweeping curved white façade and towering windows that dually flood internal spaces with natural light, while marking the exterior with a distinctive elegance. Perfecting the art of multi-level living, The Village Green delivers a variety of floorplans – some emphasizing on seamless indoor-outdoor entertaining and others providing exceptional flexibility and privacy. Key highlights include large light-filled living and dining spaces, generous bedrooms with ensuites, secure parking with additional storage, and stunning park and courtyard views to select residences. Thoughtfully placed fittings and high-quality finishes come together to create a clear vision that is as functional as it is sophisticated. Each of The Village Greens’s spaces has been considered to impart a sense of effortless ease to daily tasks; Cleverly placed shelving, study nooks, walk-in robes and intuitive storage systems are also found throughout the homes.